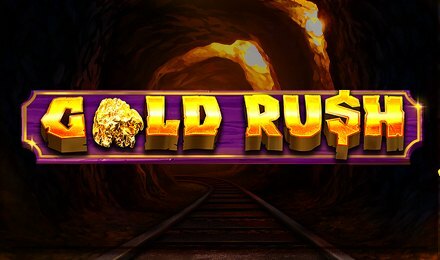 Gold Rush Slot is yet another sensational creation of Pragmatic Play, which comes with a mining theme that will take you on a virtual trip back to the days of the US “Gold Rush”. Packed with 5 reels and 25 paylines, the background is set against a cavern-like mine while the reels are enclosed by wooden designs. The symbols that you will encounter on the reels include lanterns, pickaxes, barrels, sticks of dynamite, carts of gold, nuggets and rather much all things gold mining related. Ready to whoop it up? Grab any of your favourite devices and log onto your account at Wicked Jackpots! Follow by launching Gold Rush Slot and by adjusting the stake amount of your choice. As soon as you are set, hit the spin button to have the reels swirling! The goal of the game is to match 3 or more corresponding symbols along a payline to reap a win. Autoplay Option is also at hand! This thrilling feature allows you to pick various game rounds to play automatically. Bet Levels: Gold Rush Slot doesn’t contain any bet levels! However, the number of coins can be chosen from 1 to 10. Amount of Paylines Selection: The paylines remain enabled during the interesting gameplay. Coin Values: Pick the coin denominations of your choice by pressing onto the plus or minus buttons at the sides of the Spin button. Select from the lowest bet of 0.01 up to the highest bet of 0.50! The Dynamite Symbol is the Wild Card of the game. It replaces all other symbols when appearing on the reels to form winning combinations, bar Scatters and Golden Nugget Symbols. The Mine Alley Symbol is the Scatter Symbol which only appears on reels 2, 3 and 4. This superb icon is also key to triggering the Bonus Round. Trigger the astonishing Free Spins Feature by lining up 3 or more of the Scatter Symbols! Here, you are awarded 10 free spins to try your luck. In this bonus game, you will come across a Progressive Feature. You can initiate it by landing Golden Nuggets Symbols and by collecting points. You will also notice that each nugget awards 1 point. The number of points collected will determine which of the following feature will be played: 10-14 Points: You get 21 Additional Miner Symbols, 0 – 4 Points: You get 7 Additional Miner Symbol, 15+ Points: You get 29 Additional Miner Symbols or 5-9 Points: You get 16 Additional Miner Symbols.